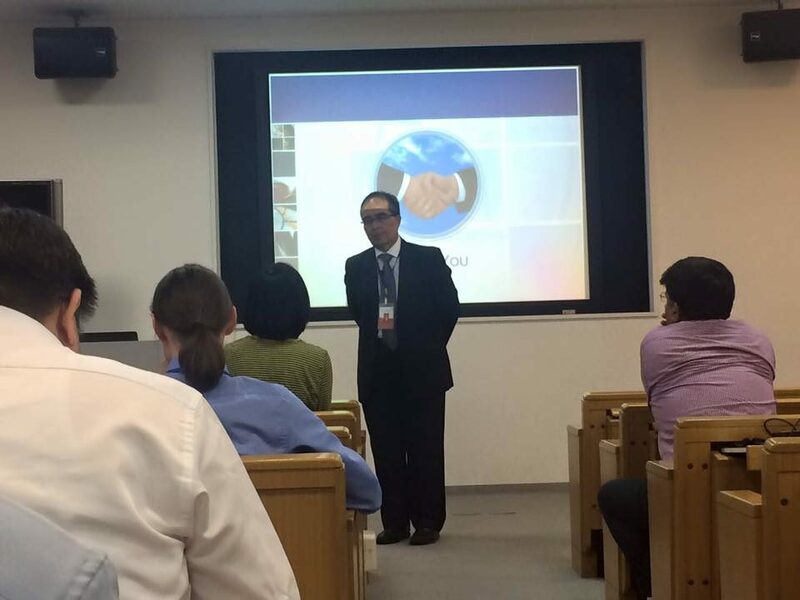 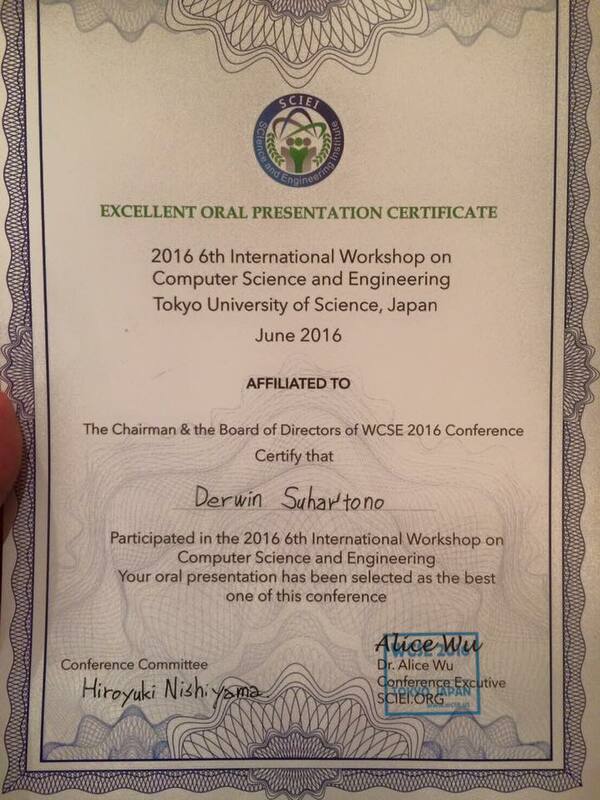 Bapak Derwin Suhartono dalam The 2016 6th International Workshop on Computer Science and Engineering (WCSE 2016), Tokyo. 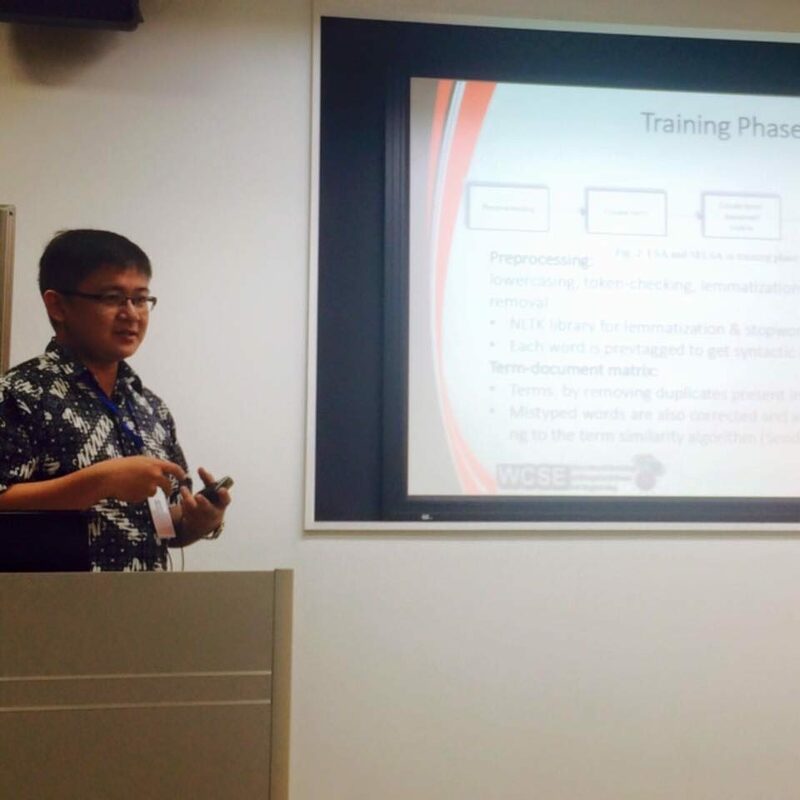 Salah satu dosen School of Computer Scince BINUS University, Bpk Derwin Suhartono, S.Kom., M.T.I. 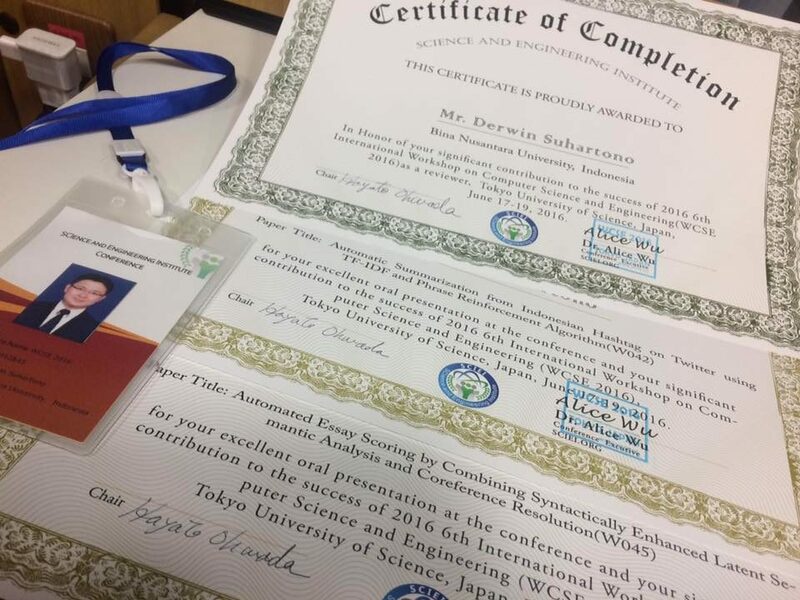 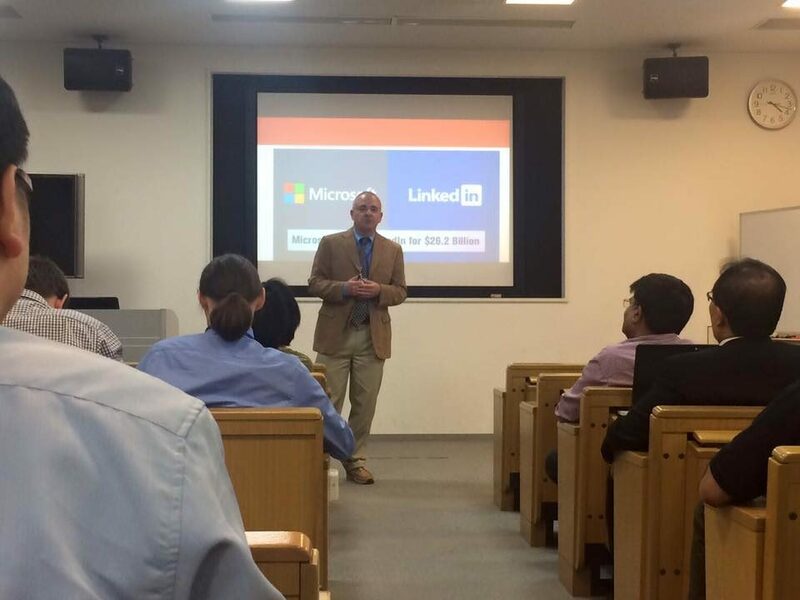 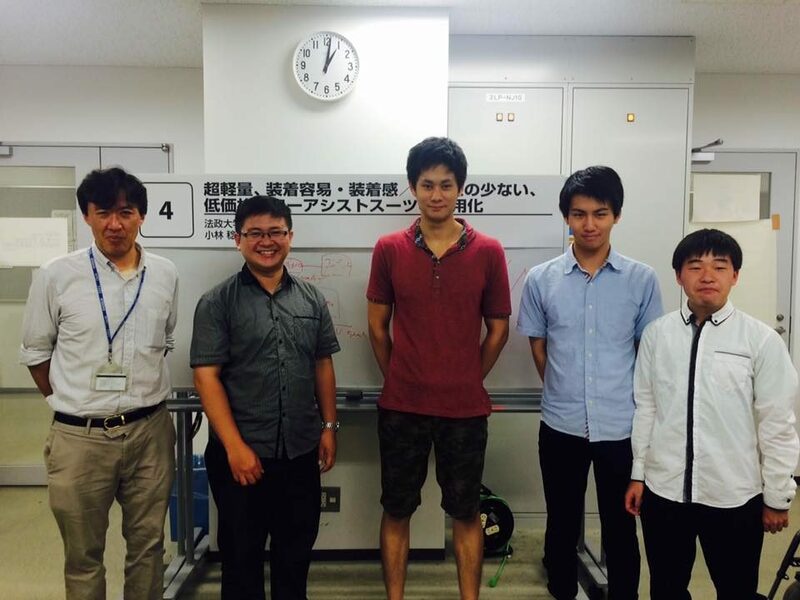 mengikuti conference The 2016 6th International Workshop on Computer Science and Engineering (WCSE 2016) di Tokyo yang berlangsung dari tanggal 17-19 Juni 2016. 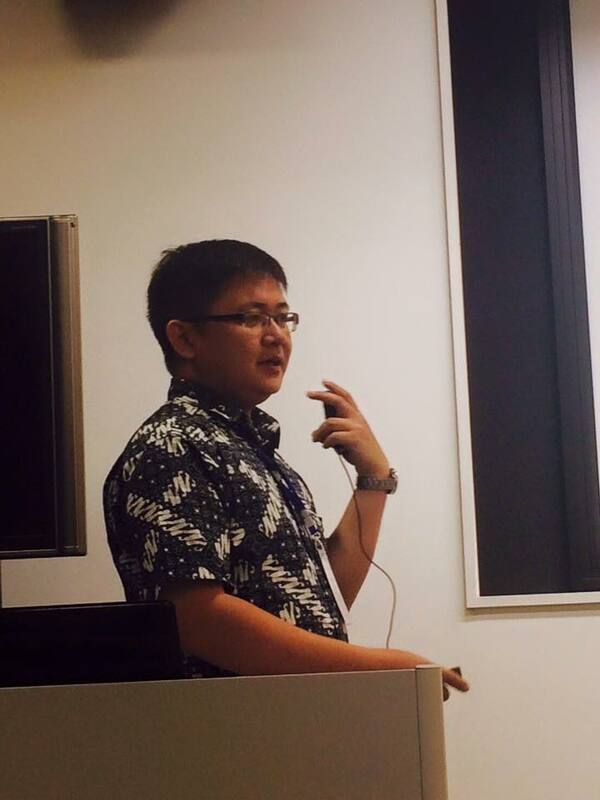 Beliau mempresentasikan paper yang berjudul Automated Essay Scoring by Combining Syntactically Enhanced Latent Semantic Analysis and Coreference Resolution dan Automatic Summarization from Indonesian Hashtag on Twitter using TF-IDF and Phrase Reinforcement Algorithm dan mendapatkan Best Presenter dalam conference tersebut. 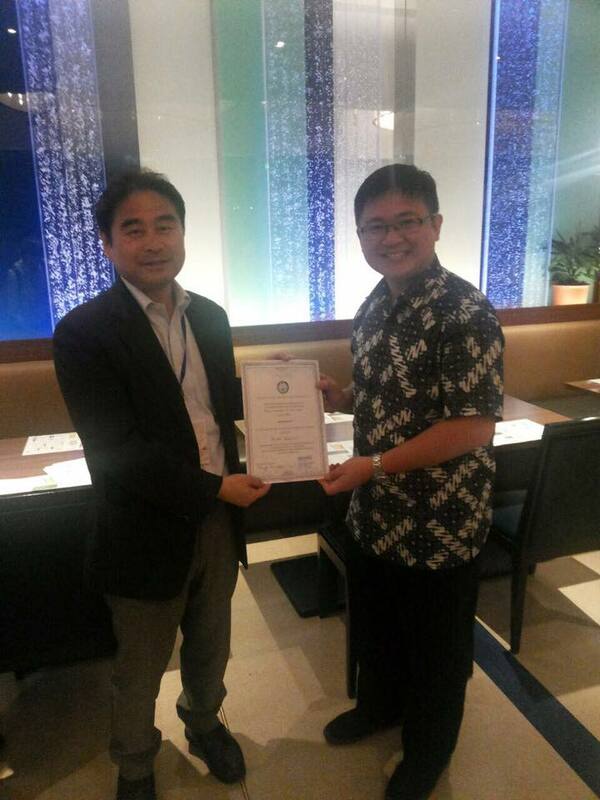 Selamat kepada Bpk Derwin, sukses selalu.